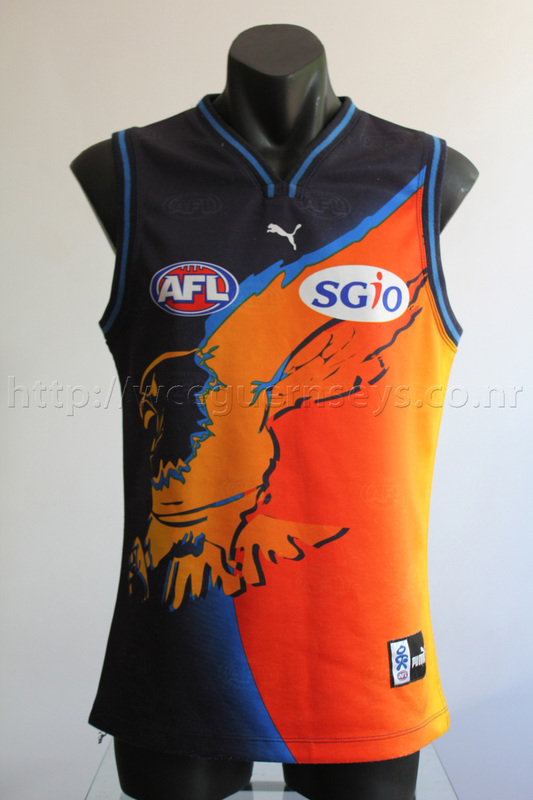 The controversial Ochre guernsey. West Coast launched a new look for the 2000 season, with two bold guernsey designs and a new logo (and coach). It was a radical departure in design for the guernsey, with a new 'fighting eagle' emblazoned across the chest and a new colour introduced. They retained the same number font from 1999. 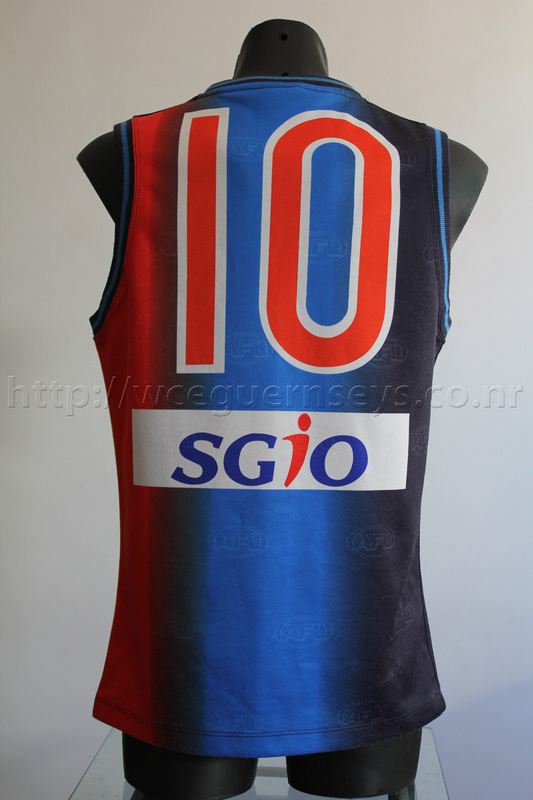 The AFL watermark throughout the guernsey was printed on and not stitched into the fabric. 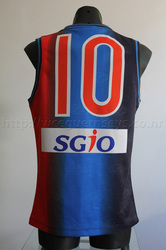 This is the first player issue guernsey I ever bought. I got it from the West Coast team store in 2003 for $70. 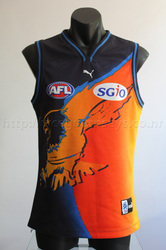 There was a whole rack of player issue Ochre guernseys for sale. More on the launch of the Eagles new look can be seen here.